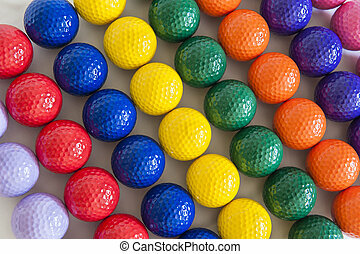 Colorful miniature golf balls. 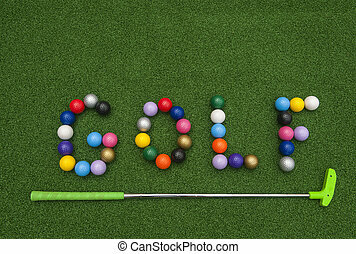 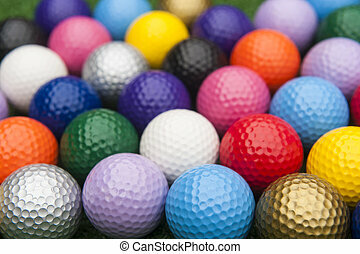 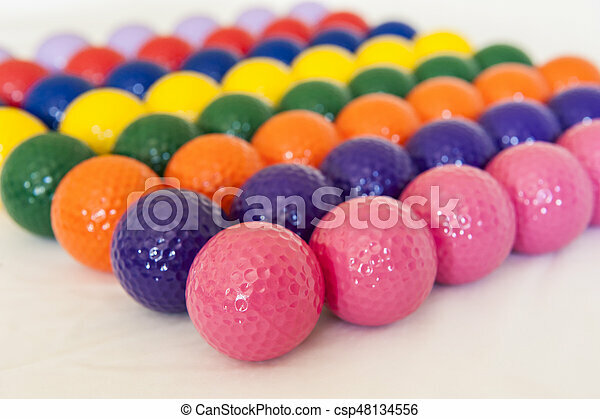 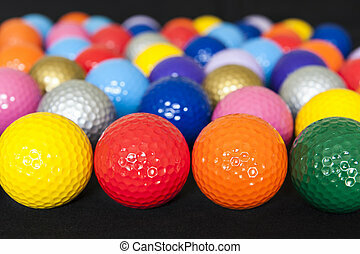 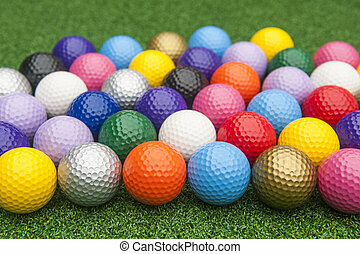 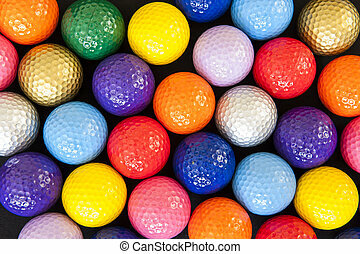 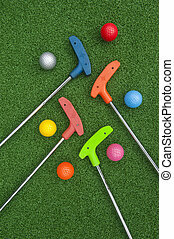 Rows of colorful mini golf balls on white background. 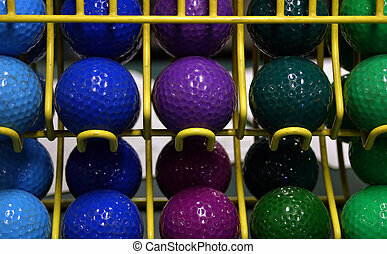 Miniature golf balls on a rack. 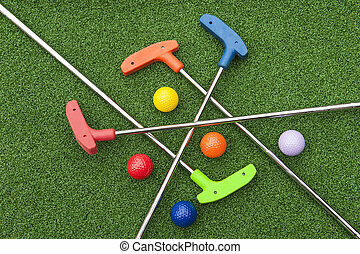 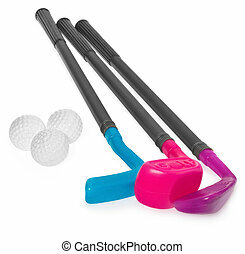 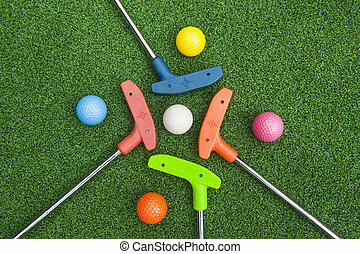 Mini golf set, toy for children, plastic golf stick and balls. 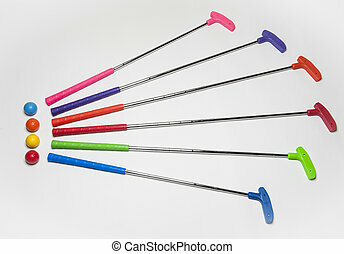 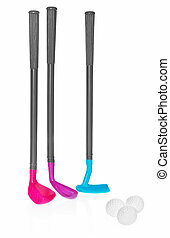 Golf staves in the colors purple, blue. 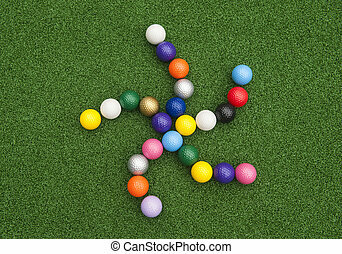 Set to play isolated on white background with light shadow and reflection. 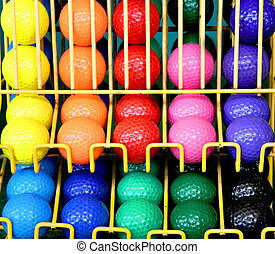 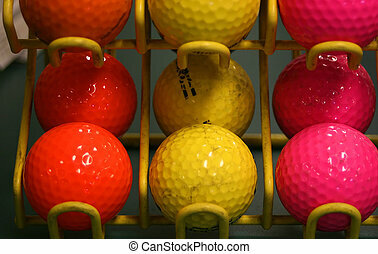 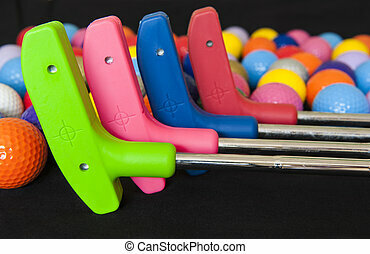 Yellow metal rack holds a group of put-put golf balls in a multitude of colors. 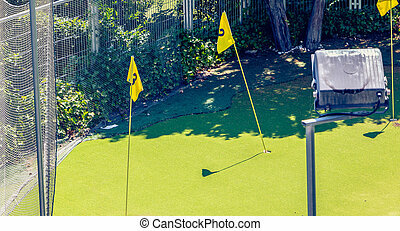 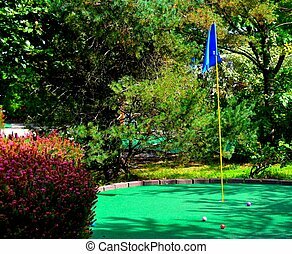 Putt putt miniature golf green, hole with flag. 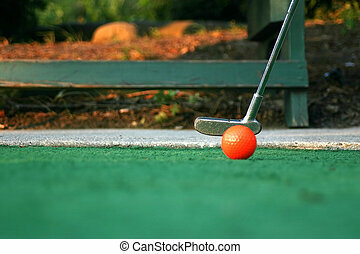 Recreational active outdoor sport for the family. 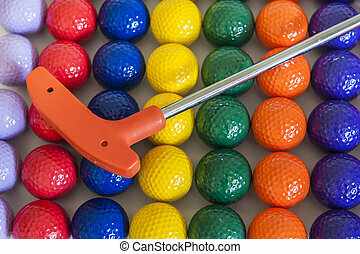 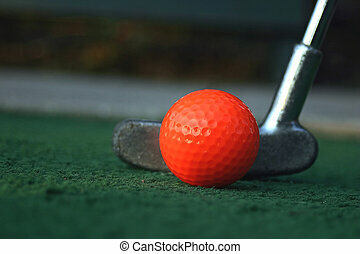 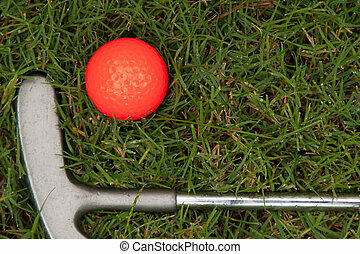 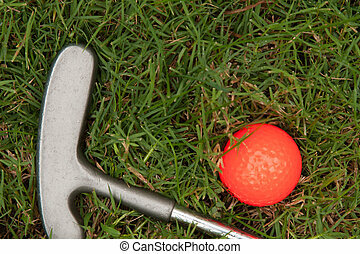 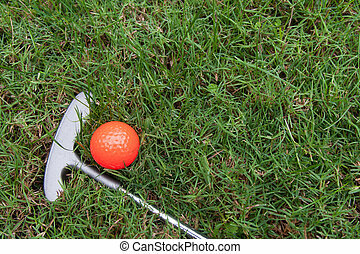 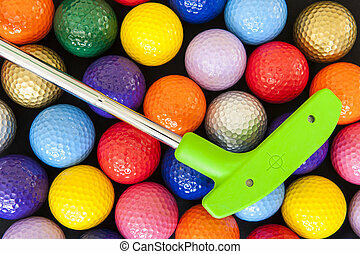 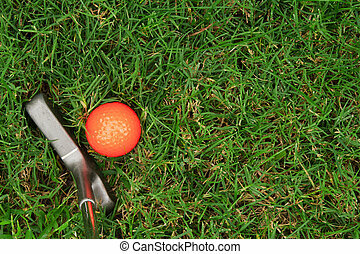 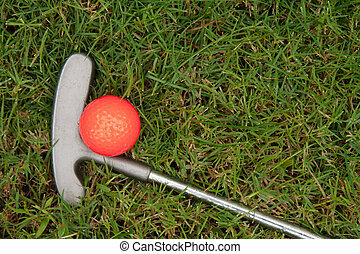 Close-up of a miniature golf ball and putter. 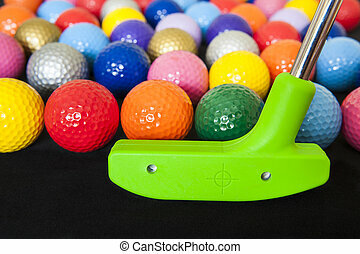 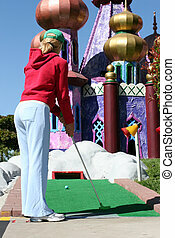 A putter and mini-golf ball.